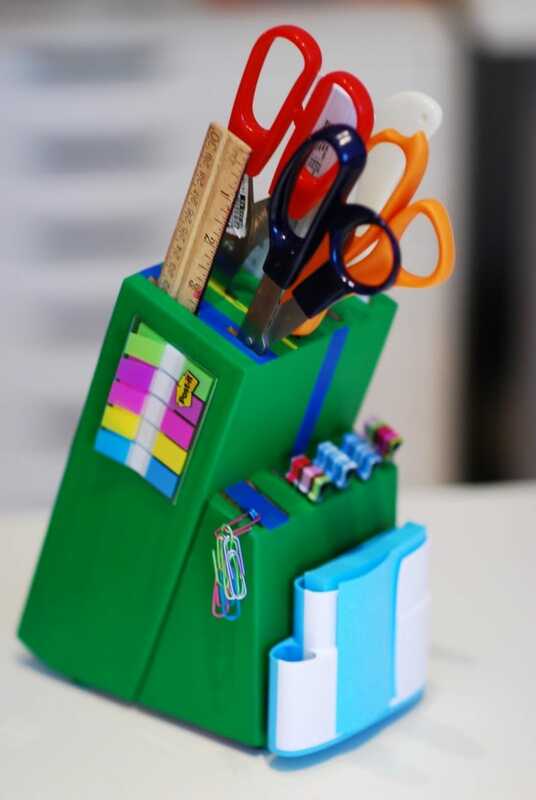 Between arts and crafts and homework, kids can have a hard time keeping all their supplies organized and together in one place. 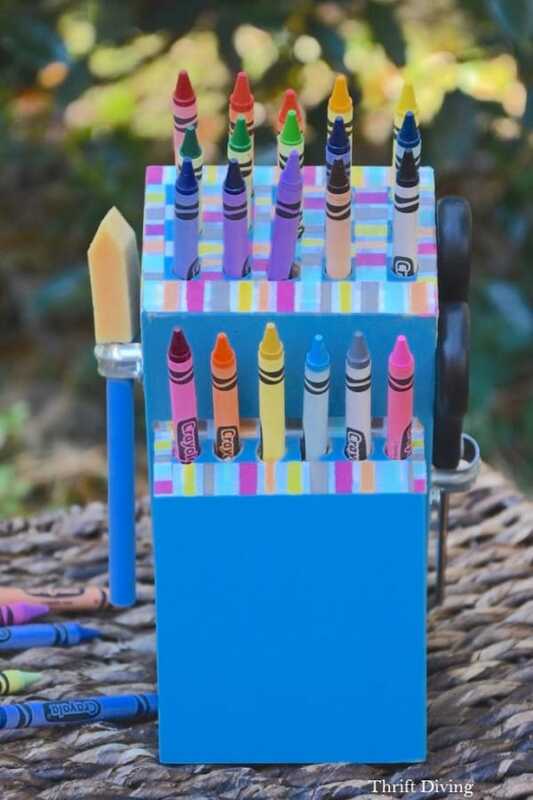 That’s exactly why Serena Appiah at Thrift Diving found a great way to turn a normal household item into a fantastic organizer for kids who like to color. 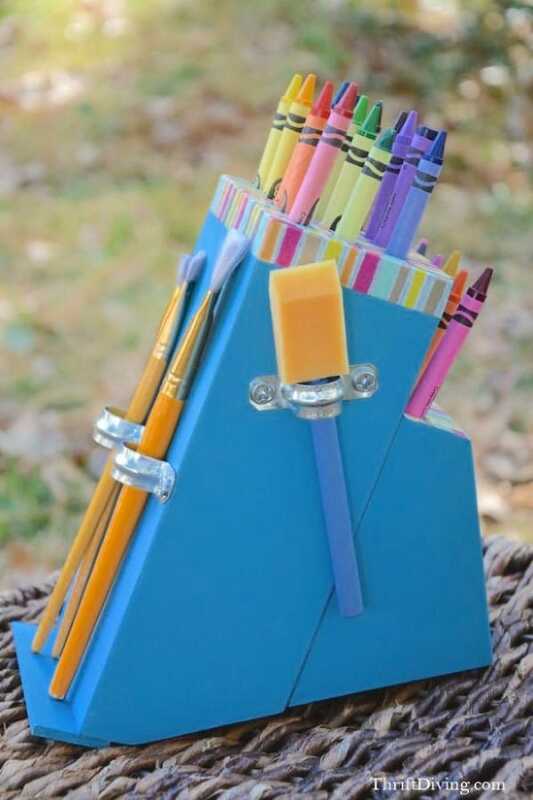 With this knife block crayon holder, kids of all ages will be ready to fill their coloring books, create new things, and let their imaginations run wild. 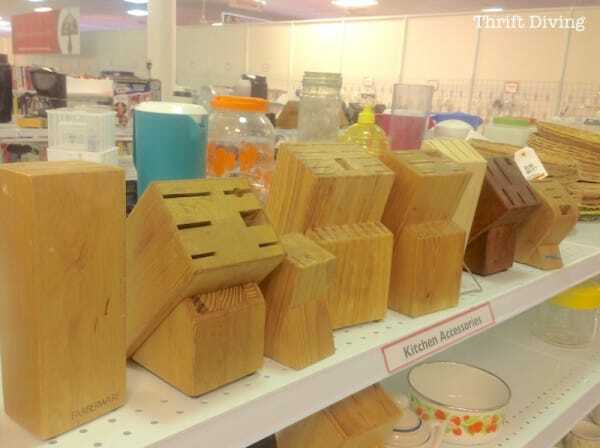 First, you’ll need to buy an old knife block from a thrift store, preferably one that has no knives in it. Serena then painted hers a bright shade of blue with a fun print. 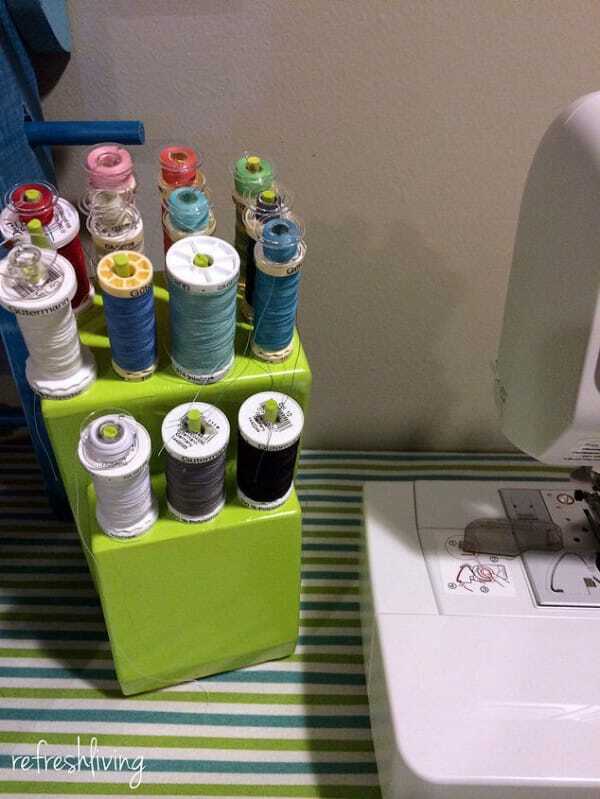 Using a power drill with ¾-inch drill bit, she modified the slits that used to hold knives into tiny holes that are the perfect size for a crayon. Lastly, she added brackets on the side to hold things like scissors and paintbrushes. To view more photos from her project, click here. Even Jenny at Refresh Living used the same idea to store materials effectively. 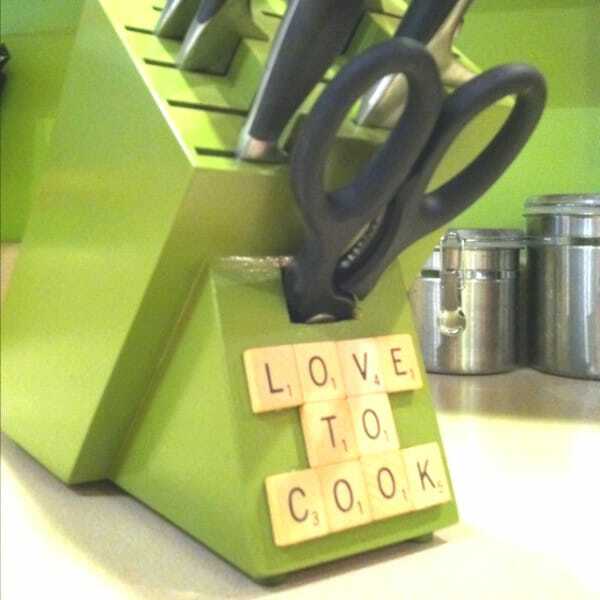 Even if it remains a knife block, just adding a coat of fresh paint and a little decoration can really go a long way (and make your kitchen look awesome). Find more about this project here. Upgrade your knife block, and easily store everything you need!